This photograph of Carl Mayfield of Oklahoma City, Oklahoma with his #C-13 Fronty known as the Mayfield Special was taken at the Kansas State Fairgrounds in Hutchinson, Kansas on July 4, 1934. Mayfield insisted that he be allowed to use the #13 when he raced as he claimed that something bad always happened whenever he had tried to discard that car number. 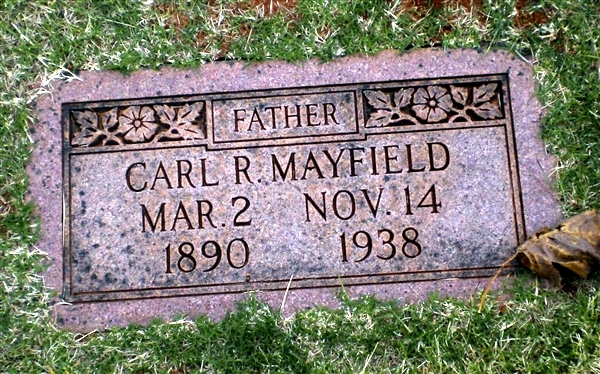 Carl R. Mayfield was born on March 2, 1891 (although his tombstone states 1890) at Somerset, Kentucky a son of John C. and Rhoda A (Gaines) Mayfield and married Dorah B. Grant of New York in 1916. He built his first Mayfield Special during World War I and campaigned it on racetracks in the Midwest. 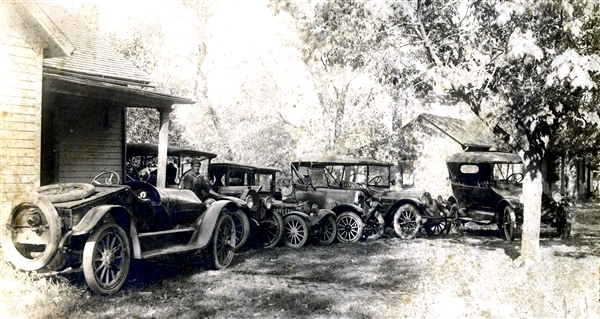 Occasionally, Mayfield was known to share the driving duties with Leech and Happy Fox of Kansas City, Missouri; A. H. Kilgore of Salina, Kansas; Sam Samuels of Parsons, Kansas, and Bob Sledge of Houston, Texas. In 1919, he bet someone he could drive his race car from Blommington, Illinois to Heyworth, Illinois and back to Blommington in under 30 minutes. He won that bet with 2 minutes to spare and came out ahead even though he picked up a $7.50 speeding ticket on his return to Blommington. Mayfield opened his own Locust Street Garage in Bloomington in 1924 but then later worked as an automobile mechanic in Kokomo, Indiana and Decatur, Illinois before moving to Oklahoma City in the late 1920s. Carl Mayfield suffered a broken leg in an automobile accident in Kokomo, Indiana in September of 1922 and was given a ride back to his home in Bloomington, Illinois in a police ambulance. May 30, 1924 – Urbana, Illinois – 12 cars competed in the 20-mile feature race at the Urbana Fairgrounds. Carl Mayfield finished eighth behind Les Allen, Roy Nominan, Frank Connet, Darrel Simpson, C. A. Baker, R. Robinson, and B. Brown. Winner Les Allen covered the distance in 25 minutes. 34.0 seconds to collect $500 from the posted purse. Mayfield’s share of the purse was $17.50. November 2, 1924 – Bloomington, Illinois – Mayfield finished first in a 10-car hobo car race at Foreman field. The next evening, two men accosted Mayfield on his way home from work and stole all of the money that he had won in the race. August 29, 1925 – Kokomo, Indiana – A piston broke the Dodge engine of the car that Carl Mayfield was driving in qualifying time trials at the Kokomo Speedway. Carl and an unnamed mechanic were able to repair the engine but then Carl withdrew his entry when he learned how small the purse was. June 5, 1926 – Tampa, Florida – Carl Mayfield entered his own Mayfield Special in these races on the Plant Field racetrack. The races were sanctioned by the Florida State Automobile Racing Association but Mayfield’s name does not appear in the published results of these races. August 26, 1926 – Tampa, Florida – Carl Mayfield’s Dodge-powered car was crowded to the outside fence “in the back turn” on the third lap of the 25-mile feature race on the Plant Field racetrack. The car careened sharply into the fence and overturned pinning Mayfield underneath it. Mayfield suffered a broken neck and in the accident. The races were sanctioned by the American Latin Automobile Racing Association. 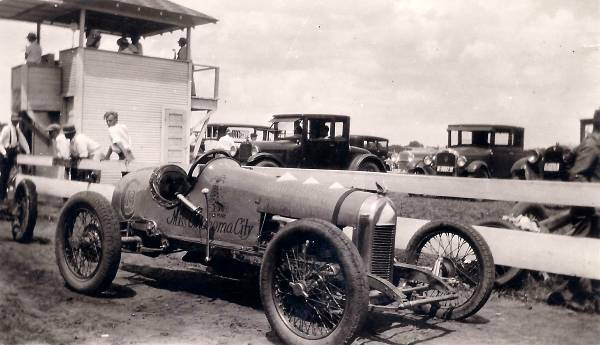 December 4, 1926 – Tampa, Florida – Carl Mayfield of Plant City, Florida entered a Marmon in these American Latin Automobile Racing Association sanctioned races at the Plant Field racetrack and was forced to drop out after his Dodge was involved in an accident. No other results of the races have been located. February 12, 1927 – Tampa, Florida – Mayfield entered his Dodge Special #C-13 in these races that were sanctioned by the Iaternational Motor Contest Association but he had to drop out of the feature race for an undisclosed reason. August 19, 1927 – Decatur, Illinois – Mayfield entered his Dodge Special #C-13 in these races that were sanctioned by the L.S.R.A. but his name does not appear in the published race results. September 5, 1927 – Decatur, Illinois – Carl Mayfield of Decatur, finished fourth in his #C-13 Dodge Special behind Ted Short of Montezuma, Indiana; Joe Read of Decatur; and Earl R. Murray of Decatur, in a three-mile heat race at the Macon County Fair. September 11, 1927 – Loda, Illinois – Mayfield finished 4th in his #C-13 Dodge Special in the second 3-mile heat race behind Roy Munson of Chicago, Illinois in Karl Young’s #23 Fronty Ford; Alfred Benes of Chicago in his #2 Rajo Ford and Walter Zale of Chicago in D. Bailey’s #14 Rajo Ford. He then finished 2nd in the third 3-mile heat race behind Sam H. Whipple in a #90 Fronty Ford owned by Gil Anderson, both from Chicago. 1928 – Cushing, Oklahoma – Not much is known about these races except Carl Mayfield entered a car there in races run either on July 4th or Labor Day of that year. Those Races were sanctioned by the Automobile Racing Association. October 9, 1928 – Winfield, Kansas – Leech Fox of Kansas City drove the Mayfield Special in races at the Cowley County Fairgrounds. Jack Burton of Miami, Oklahoma then drove a Leech Special in those same races. Webmaster’s Note: Despite his unusual name, the only other mention I have been able to find of Leech Fox is that he participated in an exhibition race at the Allen County Fairgrounds at Iola, Kansas on August 31, 1928 driving a car he also owned called the “Mystery X”. Jack Burton drove the Leech Special in those races too. I believe the Leech Special belonged to Leech Fox as well but I have not been able to prove that yet. October 13, 1928 – Winfield, Kansas – Leech Fox of Kansas City posted the eighth quickest time in time trials with a time of 41.0 seconds in the Carl-Mayfield-owned #C-13 Mayfield Special. Fox also finished last in the four-car Australian pursuit race. November 11, 1928 – Waco, Texas – Carl Mayfield of Oklahoma City, drove his #C-13 Mayfield Special to a second-place finish behind Oscar Coleman of Dallas, Texas in a three-mile race for non-money winners at the Cotton Palace Fairgrounds. Mayfield then let Art Hutchin of Tulsa, Oklahoma drive his car and Hutchins finished fourth in the six-mile Grand Sweepstakes race behind Rex Edmonds, Lee Bammel, and Oscar Coleman. November 18, 1928 – Waco, Texas – Carl Mayfield of Oklahoma City, drove his #C-13 Mayfield Special to a second-place finish behind Art Hutchin in his Hutchins special. 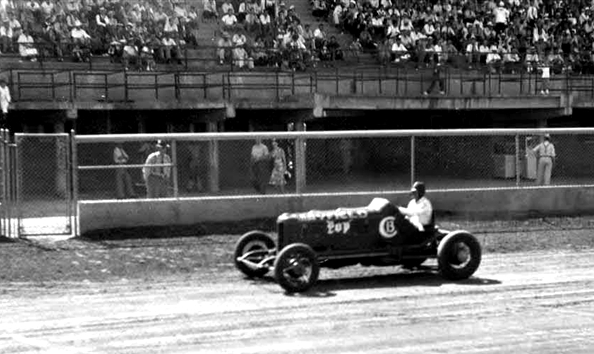 The 16-lap Grand Sweepstakes race at the Cotton Palace Fairgrounds was won by Harry Norris of Houston, Texas driving a Chevrolet special. July 27, 1929 – Winfield, Kansas – A. H. Kilgore of Salina, Kansas drove the #C-13 Mayfield Special. Webmaster’s Note: I have yet to learn anything more about A. H. Kilgore. Mr. Kilgore did not do well in the races at Winfield on this date. August 9, 1929 – Carthage, Missouri – Sam Samuels of Parsons, Kansas drove the Mayfield Special in races run at the Ozark State Fair at the at the Jasper County Fairgrounds. He qualified seventh fastest of the nine cars entered with a one-lap time of 36.8. He then dropped out of the first eight-lap heat race and did not start in any of the other events. August 11, 1929 – Omaha, Nebraska – Carl Mayfield competed in these races on the one-mile Ar-sar-ben racetrack but it is uknown where he finished in any of the events. The Sweepstakes race was won that day but Pat Cunningham of Kansas City, Missouri who was driving a #4 D. O. Fronty owned by John Bagley of Omaha. September 2, 1929 – Arkansas City, Kansas – Jack Mayfield of Wichita, Kansas finished third in a ten-lap match race behind Jimmy Martin of Wichita, Kansas and Joe Taylor of Ponca City, Oklahoma and then won the consolation race in a Fronty Ford. Webmaster’s Note: There was no mention of Carl Mayfield or the Mayfield Special although “Jack Mayfield” was probably the Johnny Mayfield mentioned above. November 10, 1929 – Waco, Texas – Carl Mayfield of Oklahoma City, drove his #C-13 Mayfield Special Chevrolet to a third-place finish behind Emory Collins in a Frontenac and Jimmy Trainor in a Ramco special in the second heat race. He then placed second in the five-lap Cotton Palace Handicap race behind Shano Fitzgerald. Mayfield then placed third in the six-lap consolation behind Shano Fitzgerald and Art Challender. Mayfield then placed third in the third heat of the 11-lap Grand Championship behind Art Challender and Rex Edmonds in a Chevrolet. July 4, 1930 – Arkansas City, Kansas – Carl Mayfield of Oklahoma City, entered his #C-13 Mayfield Special Fronty powered car but his name does not appear in the race results from these races. That may have something to do with him also being entered in races at Cushing, Oklahoma on that same date. No further record has been located of those races. August 10, 1930 – Sioux City, Iowa – Carl Mayfield entered his own Rajo Ford in these races and finished second to Fred Dresselhuys in the second heat race. August 17, 1930 – Omaha, Nebraska – Carl Mayfield entered his own Rajo Ford in these races and won the third heat race over Chris Petersen. August 26, 1930 – Ord, Nebraska – Carl Mayfield entered his own #C13 Chevrolet in these races Sam Hoffman of Sioux City, Iowa won the feature race but nothing more has been learned about those races. September 7, 1930 – Temple, Texas – Carl Mayfield of Oklahoma City, entered his #C-13 Mayfield Special Fronty powered car in races at Midway racetrack between Temple and Belton, Texas but no results of those races have been located to date. September 9, 1930 – Ardmore, Oklahoma – Carl Mayfield of Oklahoma City drove a Rajo powered car titled “Miss Oklahoma City” in these races at the Carter County Fairgrounds. He tied for second place in time trials with Richard O. Graves of Wilson, Oklahoma behind quick timmer Posey Reeves of Oklahoma City. Mayfield then won the 8-lap Class A race in 5 minutes, 45.0 seconds beating Posey Reeves by half a second. Mayfield then led every lap of the 12-lap “Free-for-All” race finishing in 6 minures, 59.5 seconts and again, Posey Reeves finished in second place. October 19, 1930 – Amarillo, Texas – Carl Mayfield of Oklahoma City, entered these races at the Tri-State Fairgrounds in Amarillo but no results of the races have been located. According to an article in the Valley Morning Star newspaper in Harlingen, Texas; Mayfield won the 1930 Oklahoma state dirt track championship and he then repeated that feat in 1931. June 21, 1931 – Oklahoma City, Oklahoma – According to the Daily Oklahoman newspaper, Carl Mayfield of Oklahoma City was entered in races at Fair Park in Oklahoma City but suffered a broken crankshaft in his engine and did not finish. 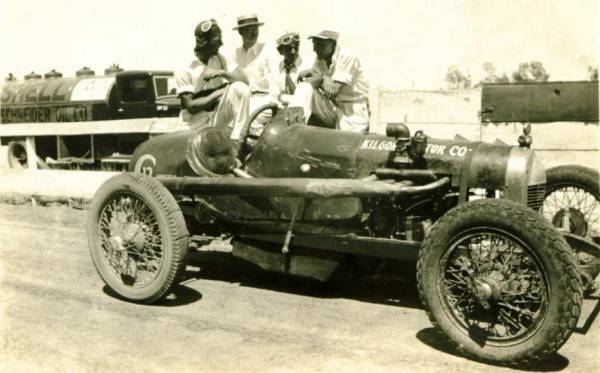 July 4, 1931 – Abilene, Texas – Carl Mayfield of Oklahoma City, entered his #C-13 Mayfield Special Rajo powered car in these races but his name does not appear in the race results. 1,200 race fans watched Johnnie Lee of San Angelo, Texas win three of the five races, including the 15-mile sweepstakes race, on the West Texas Fair Park racetrack. Lee was driving a Dodge powered racing car. July 10, 1931 – Oklahoma City, Oklahoma – Carl Mayfield entered a Rajo Ford in these races but no results of the races have been located. July 19, 1931 – Seward, Nebraska – Carl Mayfield entered these races but no results of the races have been located. August 1, 1931 – Winfield, Kansas – Articles from the local newspaper: “Several of the best known dirt track drivers in the country have been entered, Mr. Onley announces. Carl Mayfield of Oklahoma City, who holds Oklahoma dirt track records, will drive a Rajo special. He is one of the older drivers in the game and has been racing for the past ten years. “The three-cornered race, scheduled as the fourth event of the afternoon, was called about 2:15 p.m. when it became apparent that the storm would break soon. 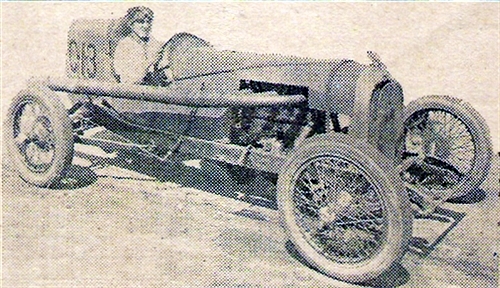 Rea Bray of Hutchinson, Kansas driving a Frontenac; Cotton Grable, of Houston, champion car racer for Texas and his Chrysler; and Carl Mayfield, Oklahoma City champion, were entered. Mayfield drove a Rajo special. “First of the thrills came in this race when Ossie Benson of Portland, Oregon in a Frontenac; and Carl Mayfield of Oklahoma City in a Rajo Special, crashed together on the south turn at the beginning of the first lap. The speeding machines spun like tops. Benson’s machine rammed backward through the outside fence and came to a stop on the railroad right-of-way. Neither driver was hurt and the cars were slightly damaged. “Event three was a six-lap event open to non-winners of the second event. It was won by Carl Mayfield in 3:03.2. “The fourth event was run before the time trials had all been finished because of an approaching rainstorm. It was a three-cornered race of four laps won by (Rea) Bray in 2:10.5. The other two entries were Mayfield and Grable. Grable and Mayfield were neck-in-neck for the first three laps but Bray made a spurt of speed to win the event ahead of Grable. “Tex West again showed his ability as a driver and put his speedy Frontenac through the paces to win the great sweepstakes open to winners of the second and third events and the next two fastest cars. The ten laps were fast and furious. West never was headed. Bray, who was headed by Mayfield for two laps, went into second position and kept it to the finish. August 16-18, 1931 – Sioux City, Iowa – Carl Mayfield entered his Auburn special in these races. September 27, 1931 – Savannah, Missouri – Carl Mayfield entered his #C-13 Chevrolet in these races. Mark Billman won the feature event and Mayfield did not finish in any of the first four positions but nothing more has been learned about these races. October 3, 1931 – Oklahoma City, Oklahoma – Carl Mayfield entered these races but no results of the races have been located. October 7, 1931 – Winfield, Kansas – Happy Fox of Kansas City entered this race driving the #C-13 Mayfield Special. Webmaster’s Note: I have not been able to establish a connection between Happy Fox and Leech Fox although I am sure there is one. April 10, 1932 – Harlingten, Texas – Carl Mayfield of Oklahoma City, entered his Frontenac in these races at the Fairpark racetrack at Harlingen. Mayfield and Jack Shore were dueling “neck and neck” in the eight-lap final when Shore crashed his Duesenberg out through the fence. Undaunted, he crashed back through the fence in a different spot but one lap behind the leader. Shore managed to unlap himself and finished second to Art Challenger of Dallas, Texas who was driving a Frontenac. May 30, 1932 – Oklahoma City, Oklahoma – Carl Mayfield entered two cars in these races. One was a Rajo Ford for him to drive and one was the #C-13 Mayfield Special for Bob Clay of Oklahoma City to drive but no results of the races have been located. June 1, 1932 – Newton, Kansas – Carl Mayfield of Oklahoma City placed third in a three-mile Class A heat race behind Rea Bray and Murray Earl both of Hutchinson, Kansas. 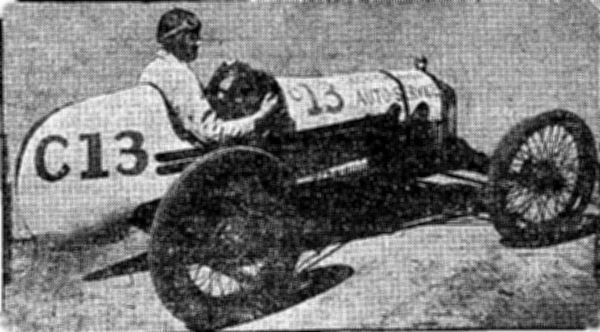 Carl then placed second in a two-car match race for one mile. That race was won by Roy Lake of Los Angeles, California. Next, Carl finished second in the three-mile B feature race behind Charles Pauley of Herington, Kansas. July 3, 1932 – Oklahoma City, Oklahoma – Carl Mayfield entered these races but they were postponed until July 10, 1932 due to rain. July 4, 1932 – Amarillo, Texas – Carl Mayfield of Oklahoma City entered the races at the Tri-State Fairgrounds on this date but no results of those races have been located. July 16, 1932 – Ardmore, Oklahoma – According to the Ardmore Daily Ardmoreite, Carl Mayfield of Oklahoma City, entered these races at the Fairpark Racetrack in Ardmore but no results of the races have been located. September 25, 1932 – Amarillo, Texas – Carl Mayfield of Oklahoma City entered this race at the Tri-State Fair in Amarillo, Texas but they were rained out. April 2, 1933 – Dallas, Texas – Bob Sledge of Houston, Texas was driving a car owned by Carl Mayfield of Oklahoma City at the Love Field Speedway in Dallas when his car struck Jim Ogden, a part-time driver himself and owner of the car that Pete Lambert was driving that day. Ogden had been standing near the racetrack and Sledge did not see him due to a thick cloud of dust raised by the race leaders. The accident happened on the fourth lap of the sixteen-lap feature race. Emergency personnel carried Ogden away from the racetrack and into the infield where they laid him on the ground. For some unexplained reason, race officials decided to continue the race to its conclusion without stopping the race for the accident and while Ogden lay there in full view of the spectators. A waiting ambulance and doctor treated Ogden for two broken legs before he was removed to a hospital after the race concluded. April 9, 1933 – Dallas, Texas – Carl Mayfield of Oklahoma City finished in second place behind Oscar Coleman of Dallas in the feature race at the Love Field Speedway. May 28, 1933 – Oklahoma City, Oklahoma – According to the Amarillo Daily News newspaper, Carl Mayfield of Oklahoma City was entered in races at Fair Park in Oklahoma City and attempted a stunt where he was to “crash his car through a wall of fire. He did not crash into the wall at a fast-enough speed and was severely burned.” Due to his injuries, Mayfield was unable to use his right arm when driving his race car for the next several months. June 11, 1933 – Amarillo, Texas – Carl Mayfield of Oklahoma City entered his #C13 Allstate Special in these Southwest Auto Racing Association sanctioned races run at the Tri-State Fair Speedway in Amarillo. Mayfield’s car developed engine trouble during time trials and he had to sit out the races. He performed his “crash through a wall of fire” stunt with a car he borrowed. June 25, 1933 – Amarillo, Texas – Carl Mayfield of Oklahoma City entered his #C13 Allstate Special in these races run at the Tri-State Fair Speedway in Amarillo. Mayfield won the heat for the four fastest cars in time trials in 3 minutes, 51.0 seconds. Mayfield won the third race of the day, a 4-lap that took 2 minutes, 33.0 seconds to run. Mayfield then won the 7-car, 7-lap sweepstakes race after trailing Waldo Barnett most of the race. Mayfield passed Barnett on the last lap to win by a car-length. Barnett then performed the “crash through a wall of fire” stunt after borrowing Mayfield’s Allstate Special. July 23, 1933 – Plainview, Texas – According to the Morning Avalanche newspaper, Carl Mayfield of Oklahoma City entered his Mayfield Special #C-13 “Chevrolet Fronty” in races at the Plainview racetrack at Plainview but nothing more has been learned about those races. August 19, 1933 – Sedalia, Missouri – Carl Mayfield entered his Mayfield Special in these races and the feature race was won by Pat Cunningham of St. Joseph, Missouri but nothing more has been learned about these races. 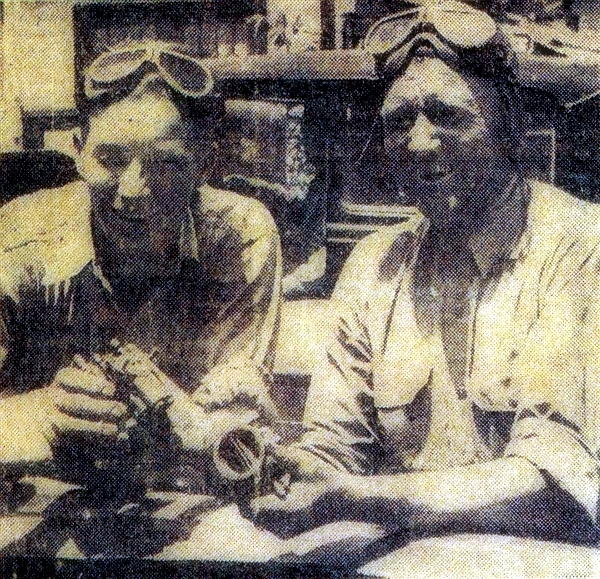 September 3-4, 1933 – Odessa, Texas – According to the Monahans News newspaper, Carl Mayfield entered these races at the Odessa racetrack located two miles north of town but did he and several other drivers who had entered, were unable to arrive in time for the races due to “heavy rains in all directions from Odessa.” Sam Wolf won the 10-lap feature race on September 3rd and Allen Rigler won the 8-lap feature race on September 4th. September 30, 1933 – Oklahoma City, Oklahoma – Car Mayfield won a “special consolation dash” on this afternoon. October 4, 1933 – Dallas, Texas – Carl Mayfield entered his #C13 Mayfield Special in these races and Red Hodges of Dallas, Texas won the feature event but nothing more has been learned about these races. April 29, 1934 – Dallas, Texas – Carl Mayfield entered his #C13 Mayfield Special Ford Frontenac in these races but nothing more has been learned about these races. June 13, 1934 – Dallas, Texas – Carl Mayfield entered his #C13 Mayfield Special Ford Frontenac in these races and the feature race was won by Howdy Cox but nothing more has been learned about these races. July 4, 1934 – Hutchinson, Kansas – Carl Mayfield of Oklahoma City won the second seven-lap heat race at the Kansas State Fairgrounds in a time of 3:51.0 driving his #C13 Mayfield Special. July 28, 1934 – Winfield, Kansas – Carl Mayfield, driving his #C13 Mayfield Special, turned a 33.4 second lap in time trials for thirteenth fastest time of the day but did not place in any of the races. September 17, 1934 – Hutchinson, Kansas – Carl Mayfield of Oklahoma City turned in the tenth fastest lap in time trials of 32.4 seconds but did not place in any of the races. Red Campbell won the feature event. September 21, 1934 – Hutchinson, Kansas – Carl Mayfield of Oklahoma City turned in the thirteenth fastest lap in time trials at 32.4 seconds but did not place in any of the races. November 11, 1934 – Lubbock, Texas – According to the Morning Avalanche newspaper, Carl “Pop” Mayfield of Oklahoma City entered a flaming red Miller Special in races on a newly constructed 5/8 mile racetrack south of Lubbock. The program was delayed when Mayfield’s car broke a rear axle but he was able to make repairs in time to set the fastest time in time trials at 33.0 seconds. Mayfield won three races including the “Grand Sweepstakes”. Second place in the sweepstakes went to Posey Reeves of Oklahoma City. For an additional attraction on the program, Mayfield drove his Miller Special through a one-inch burning plank wall. June 2, 1935 – Oklahoma City, Oklahoma – Carl Mayfield entered these races but results of these races have yet to be located. June 10, 1935 – Ardmore, Oklahoma – According to the Ardmore Daily Ardmoreite, Carl Mayfield entered a Cragar powered car in the races at the Carter County Fairgrounds at Ardmore but nothing more has been learned about those races. June 30, 1935 – Oklahoma City, Oklahoma – Carl Mayfield entered these races but results of these races have yet to be located. July 27, 1935 – Winfield, Kansas – Carl Mayfield of Oklahoma City ran a lap of 32.66 seconds in time trials and then won the nine-lap consolation race for non-sweepstakes race qualifiers and non-money winners. His time of 12 minutes 26.6 seconds is a record which still stands today for that distance on the Winfield racetrack. Austin Wetzler a.k.a. “Tex West” won the feature race. August 11, 1935 – Davenport, Iowa – Carl Mayfield of Oklahoma City, entered the races at the Mississippi Valley Fair but his name does not appear in the limited race results that have been located to date. September 20, 1935 – Hutchinson, Kansas – Carl Mayfield of Oklahoma City turned in the thirteenth fastest time of 32.0 seconds in his Cragar powered #C13 Mayfield Special. He then finished seventh in the five-lap consolation race won by Pat Cunningham of St. Joseph, Missouri and fifth in the pursuit handicap race won by Oscar Coleman of Dallas, Texas. June 7, 1936 – Oklahoma City, Oklahoma – Carl Mayfield entered these races but his name does not appear in the published race results. July 12, 1936 – Oklahoma City, Oklahoma – Carl Mayfield entered these races but his name does not appear in the sparce race results that have been located to date. June 6, 1937 – Des Moines, Iowa – Carl Mayfield entered these races as well as races at Oklahoma City, Oklahoma on this day but nothing further is known about where, or even if raced at all on this date. Augustt 1, 1937 – Dallas, Texas – Carl Mayfield entered these races and Buddie Rusch won the feature race but nothing further is known about these races. June 5, 1938 – Oklahoma City, Oklahoma – Carl Mayfield of Oklahoma City as well as his son, John Mayfield, was entered in races at the old Oklahoma State Fairgrounds on Eastern Avenue in Oklahoma City but nothing more has been learned about those races. July 3, 1938 – Haskell, Texas – Carl Mayfield of Oklahoma City was listed in the Abilene Reporter-News newspaper as an entrant in the auto races held on this date at the Central West Texas Fair at Haskell, Texas. Published race results only listed the race winner's names and Mayfield's name was not among them. The 12-lap final was won by Joe Termin of Dallas, Texas who was driving a D.O. Hal. July 4, 1938 – Haskell, Texas – Carl Mayfield was listed an entrant in the auto races held on this date at the Central West Texas Fair at Haskell, Texas but his name does not appear in published reports of these races. Joe Termin of Dallas, Texas was fatally injured in an accident on the first lap of the first race. September 27, 1938 – Oklahoma City, Oklahoma – Carl Mayfield’s car caught fire in one of these races and he had to pull it into the infield and extinguish the fire with dirt. Carl Mayfield’s racing career continued until he was found dead from asphyxiation in his room near his garage in Oklahoma City on November 14, 1938. He had run a hose from a gas heater in the garage, into his room. He was survived by his wife and three children and he is buried in the Rose Hill Burial Park in Oklahoma City. A nervy driver that has been racing with a broken neck set in a cast all summer. Well known here since the start three years ago. Carl Mayfield of Oklahoma City, whose picture appears above, and his favorite C-13 racing car. Mayfield without question is regarded by all critics of automobile racing as one of the best. With all his misfortunes of several very serious wrecks on the tracks, he is one among many drivers who has been cracked up and is still able to drive with a heavy foot but it has not checked his speed in the least. All of the race drivers say that he drives faster every time he has a wreck. There is a joke among the racing drivers: They say that they are trying to figure out a way to keep Carl from cracking up and if they do that, why, they can break him. But every time he wrecks his racing car, he rebuilds it faster than ever. Mayfield has to drive with a neck brace for three years ago; he broke his neck in a very serious accident in Kansas. In fact, he wears a brace at all times but a special one is made for driving race cars. He is one of the most popular race drivers among all drivers for his gentlemanly ways and manners.